With the advent of the era of new energy vehicles, the automotive industry is facing a new round of technological transformation. 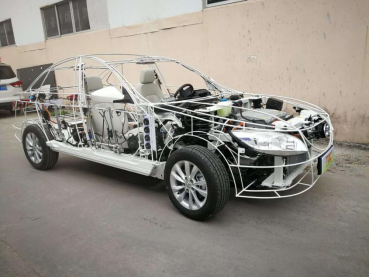  In 2014, General Secretary Xi Jinping emphasized during the inspection of Shanghai Automotive Group that the development of new energy vehicles is the only way for China to move from a big automobile country to a car power. 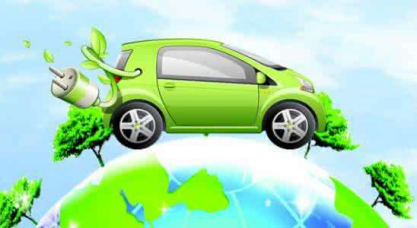  In 2016, Norway, Sweden and other countries announced that they would stop selling fuel vehicles in 2030. The United States, Japan, India and other countries have announced roadmaps for electrification and intelligence. The 8th Clean Energy Ministerial Conference held in Beijing in 2017 proposed the “EV30 30 Target Initiative” that “30% of cars should be new energy vehicles by 2030”. As a high-tech enterprise specializing in the R&D, production and sales of automotive professional teaching equipment products, Guangdong Zhongcai Teaching Instrument Co., Ltd. has joined forces with Dongguan Yuanchuang Industrial Investment Co., Ltd., which focuses on automotive education, to seize a new round of technological revolution. And a major opportunity for industrial transformation, the creation of "Yangchuang & Zhongcai new energy characteristics training class" (hereinafter referred to as "training class"). 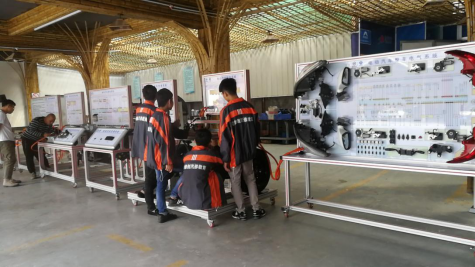 The training class focuses on cultivating the elite of green new energy technology, and invests in the establishment of a professional standardized new energy training room, equipped with cutting-edge automotive new energy teachers. From teacher training to supporting practical training equipment, from theoretical study to student practice improvement, from training and research to final targeted employment, a complete teaching and employment system has been formed. And maintenance, pure electric vehicle control technology, pure electric vehicle vehicle auxiliary system.  Student protection: When the students enter the school, they sign an employment security agreement, and all the qualified trainees will be placed in employment.